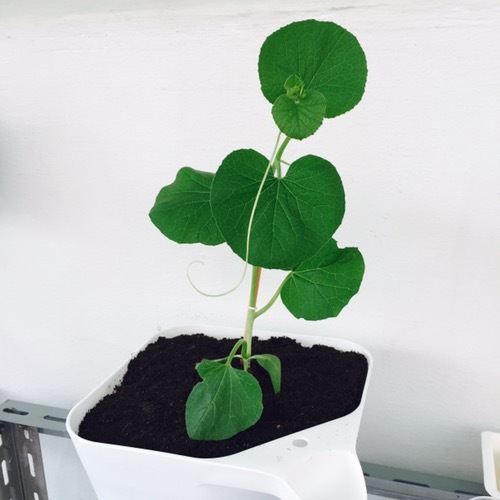 It’s a hack again, and this time it’s using a colander as a pot. 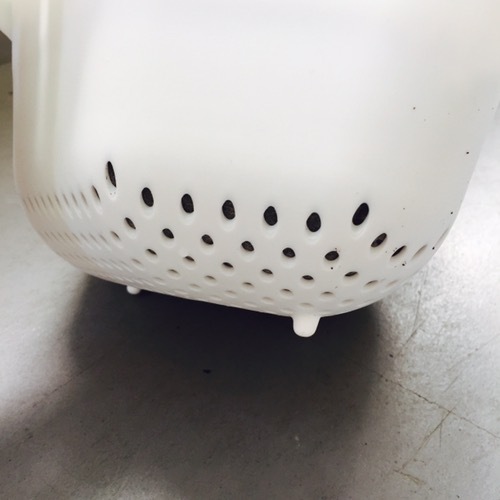 A colander is used for draining vegetables and fruits. I was at Index Living Mall last Saturday and saw the colander. It looks very nice as it’s square, I usually take rounded things as inefficient use of space. But I was thinking if I buy this colander, it will not be fitting together with all my other pots. But it’s a nice pot and so I was thinking of what I can do with it. And there I have it, a pot again. Why is this good for a pot? It already has the drainage holes at the pot supposedly for draining fruits and vegetables. 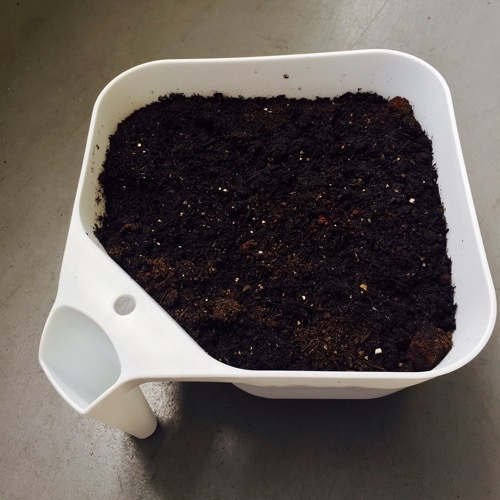 And it will be good for me to drain the soil for gardening. It is also squarish in shape which means I can easily put them side by side, not wasting space at all, unlike a rounded pot. I used it to repot my Rockmelon plant. See how it goes in a week’s time. Also I am able to hold the pot with one hand using the handle, but that is also the part where it cuts some space from the pot.